Even when the trucking industry faces hardships, tragedies and shake-ups, one organization that has provided unwavering support and consistency to those behind the wheel is Women In Trucking. Since 2007, industry professionals have turned to Women In Trucking as a resource that aims to improve the world of commercial driving, as well as a group that remains focused despite what issues may plague the industry. 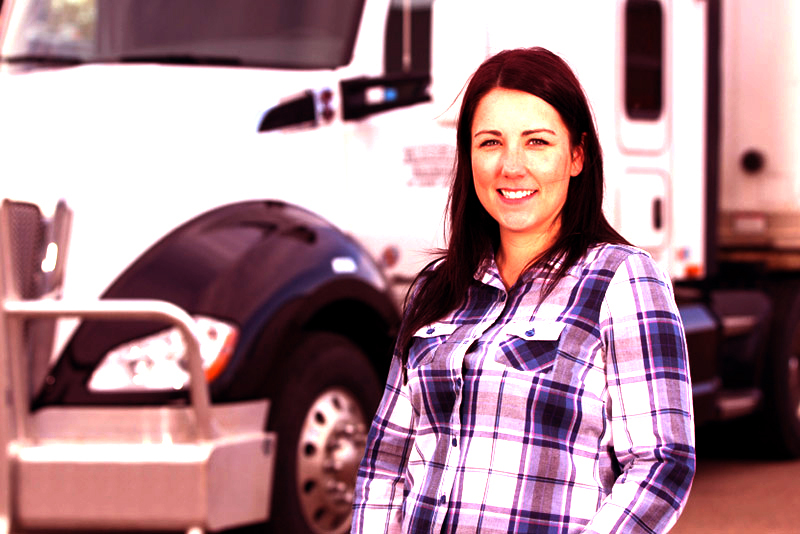 Women In Trucking has been operating as a resource for its members and for the public as a whole and wants to include anyone that wishes to see more women visible in the industry of trucking. Voie explained that the need for an organization like Women In Trucking is not only necessary for women, but also for the unique world that is trucking itself. “More inclusive recruiting is driven by capacity issues, “said Voie. “Recruiters need to fill those seats. They’re starting to broaden their view of who is a potential driver and they’re starting to wonder how they can get more drivers of a certain age group or gender or ethnicity. Voie said that recruiters are struggling in using modern tactics to entice women to join the industry. With many other industry organizations placing women at approximately 5 percent of the entire industry for the past few years, some may believe that the figure has plateaued indefinitely. Despite this, Voie said that the figures of women in the transportation industry are not accurately reflected by the Bureau of Labor Statistics and other sources that draw from that particular data. Voie said that she estimates the number of women in the industry to be closer to 7 or 8 percent. Nonetheless, there are major difficulties to achieve these numbers alone, much less to grow the numbers. According to Voie, one of the largest problems that the industry is currently facing is its overall image in regards to hiring female drivers within and selling the industry to the outside public. One of the goals of Women In Trucking is to have a more open and honest communication about the positions available transportation industry. Voie said that the industry isn’t without a bevy of job openings, but these positions are advertised in a traditional or outdated manner. A great deal of the issues regarding the figures of women in trucking revolves around job listings having information that is unnecessary or no longer pertinent to the job itself. Voie suggests that hiring companies ought to take a look at their job descriptions and ensure that the copy is up-to-date. In addition to the current landscape of job openings and hiring active drivers, Women In Trucking is working with a younger generation in order to get them excited about potential careers within commercial transportation. 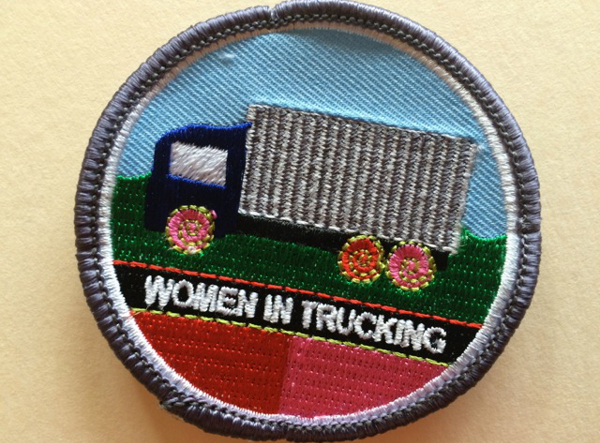 Voie said that Women In Trucking worked with Girl Scouts in the Greater Chicago and Northern Indiana areas to create a patch equivalent to the Boy Scout’s Transportation Patch. “We’re working on an activity book that shows how a girl scout cookie starts out in a field to a bakery, to a packing center to the final mile,” said Voie. “The final mile – it’s the Girl Scouts themselves. So it will make the supply chain more realistic to them. Women In Trucking is also working on their own index to provide accurate information on the best tactics for inclusive recruiting, as well as their Accelerate! Conference next month in Dallas,. Overall, Voie suggested that recruiters tell drivers – both male and female – the bigger picture that they will be participating in when taking a career in driving. “By using values of jobs or telling driver that they will be helping feed America or helping clothe America, it equates the job more to the bigger picture,” said Voie. “It shows drivers how this job benefits the neighbor next door.